I love Mexican food! Besides tacos and enchiladas, I adore tamales. Tamales are traditional Mexican and Native American foods that are made with ground corn called masa, chilies and meat wrapped in a corn husk. While some tamales can be very high in fat and sodium, they are known to be rich in vitamins, minerals and fiber. Since it’s hard to find decent non-meat tamales, I don’t enjoy them to often. However, to my surprise, Trader Joe’s now carries two non-meat tamales by The Texas Tamale Company. I decided to try the spinach tamales for dinner. 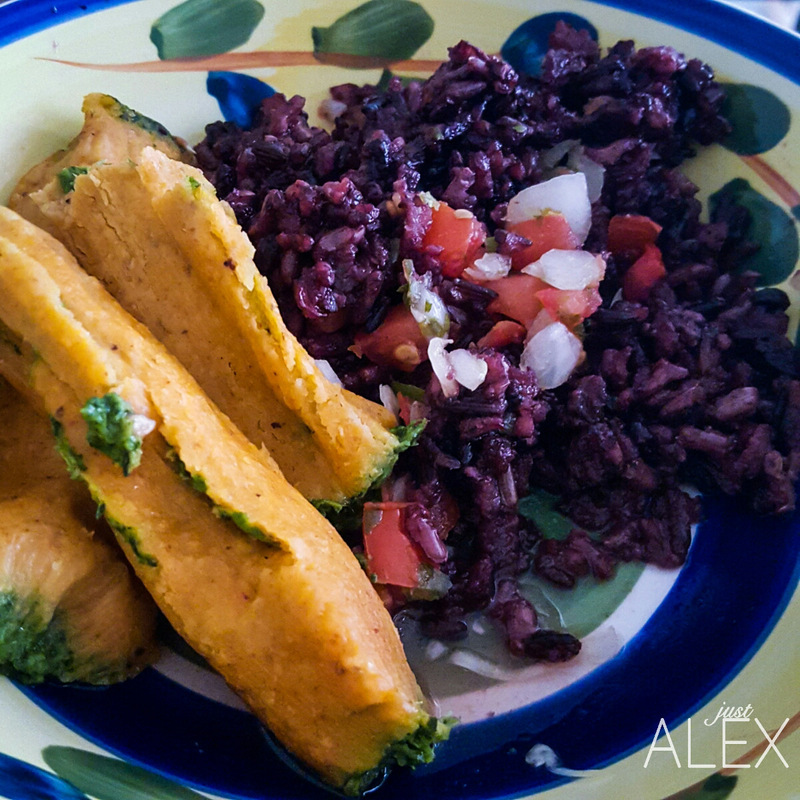 The tamales take less than 10 minutes to steam, which was enough time for me to pair with a mixture of black rice and beans. Once finished, I added fresh pico de gallo. The result was a perfect vegetarian-friendly and Just Alex approved meal in minutes. I loved it so much that I ate it again the following day. Additionally, I added a side salad and mixed black quinoa with the left over black rice. This is officially a staple monthly meal! Try this meal when you are short on time or wanting to go meatless for a day. 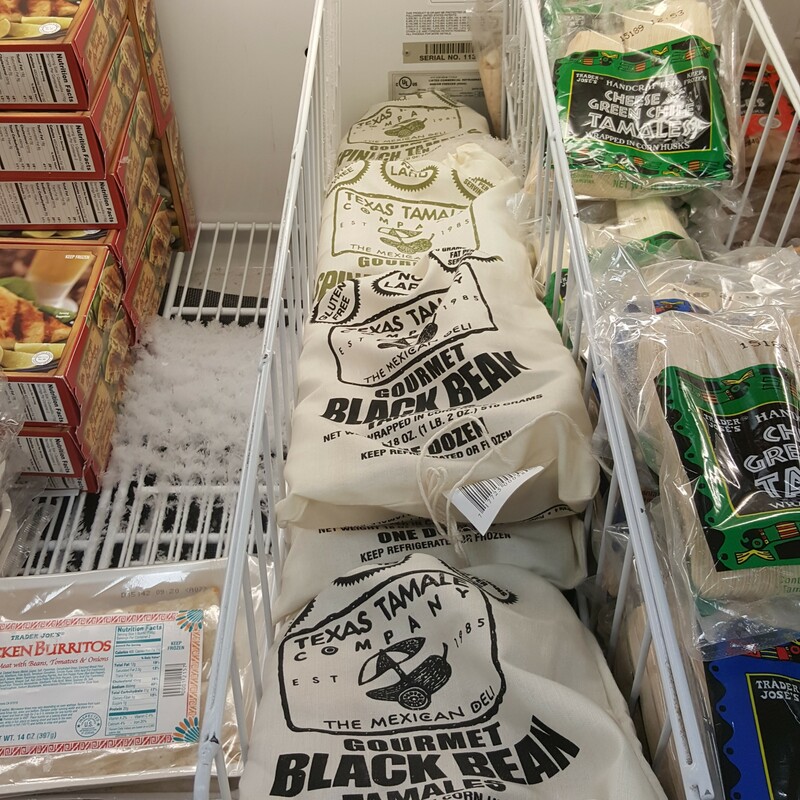 PS: Texas Tamales are Gluten-Free and ship across the country. This looks yummy! And simple.. AKA my kinda meal!